Edited to Add: The appeal described below was ruled “untimely.” This left the possibility of legal action by the environmental group WiserParks (formerly known as ForestForestForever), which they decided not to pursue for practical reasons. Environmental group ForestForestForever has submitted an appeal to the Board of Supervisors requesting that the City re-examine their environmental compliance for the Glen Canyon Park Renovation Project. The project had been scheduled to start in October 2012 with the felling of nearly 60 trees, a prelude to the destruction of hundreds of others. 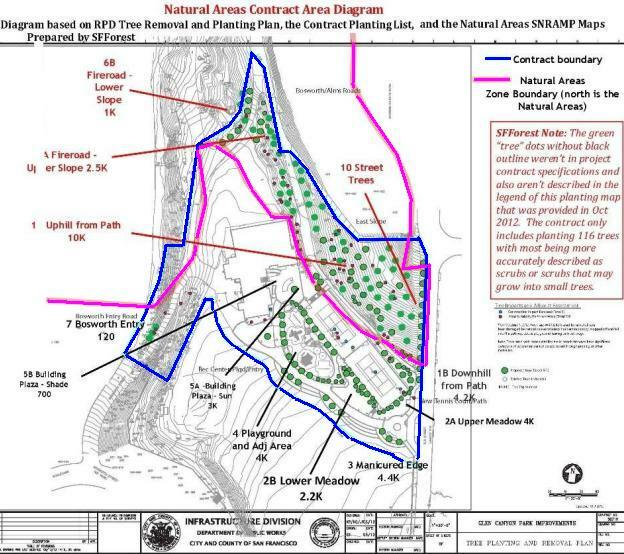 As SFForest noted in its post, Under the Radar, when the San Francisco Recreation and Parks Department filed for an exemption under the California Environmental Quality Act (CEQA), it said that none of the proposed work would be in the “Natural Areas” of the Park. This enabled it to get a permit to go ahead with the project without doing an Environmental Impact Review (EIR). As the map clearly shows, a substantial portion of the contract area is in fact in the Natural Areas. What is proposed for that area – the removal of trees and replanting with native plants – is exactly what the Natural Areas Program wants done. (SFRPD claims it will plant 163 trees. Two problems: Half of them are actually bushes and shrubs, not trees; and actually only 113 “trees” are in the contract.) CLICK HERE to read what they say they’ll do: A New Planting Plan for Glen Canyon. Besides the issue of SFRPD making erroneous statements, there’s a more important matter at stake. An Environmental Impact Review would need to review all the actions planned for the area, cumulatively. This would mean that SFRPD couldn’t split up the projects, minimizing the impact of each one, as it has been doing. Even if the individual impacts are not huge, cumulatively they will change the Canyon drastically. 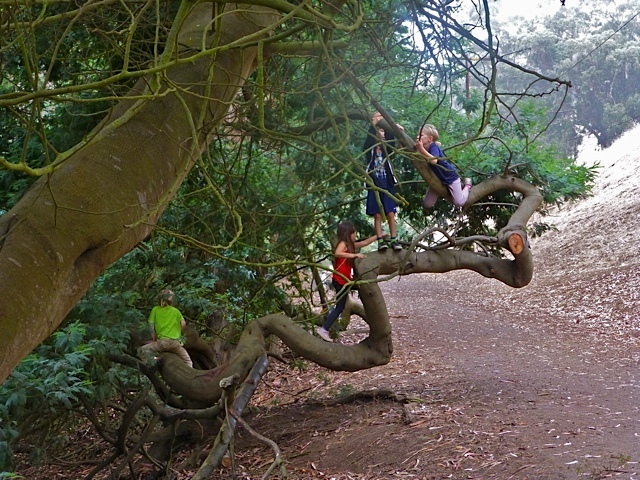 This entry was posted in Felling Trees, Natural Areas Program and tagged Appeal, Board of Supervisors, environment, felling trees, Glen Canyon Park. Bookmark the permalink.